In a family of surgeons, OBGYNs and engineers, entering the medical profession interested Dr. Viji from a young age. Her dentist uncle invited her to check out his clinic, and she liked the artistic side of dentistry. The decision was made, and Dr. Viji qualified at Ragas Dental College in India in 1990. After she had finished an internship, she worked in her uncle’s practice for a time. Then, she married her husband Robert and moved to the U.S.
Once in her new home, Dr. Viji set about investigating how to obtain a license to practice in the U.S. After dental school, she completed additional dental studies at New York University, graduating from their program in 1997. While in school, she worked at an implantologist’s office in Manhattan during the day and attended classes during the evening. Dr. Viji then worked in upstate New York before going on to open Convenient Dental. Belonging to the Southern Maryland Dental Association, Dr. Viji stays up to date on the latest in dentistry by attending regular continuing education courses. Robert and their two daughters occasionally accompany her when she travels for conferences. In her spare time, Dr. Viji stays busy with church and her children’s activities. These include swimming, piano, attending camp and dancing. She also volunteers her time at local schools doing clinical evaluations on students there. 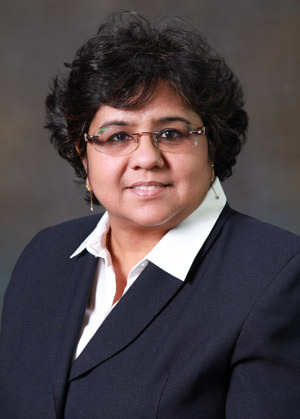 Dr. Viji is an in-network provider for many insurances. Schedule your time at our clinic today!